The busy schedule continues this week as Aberdeen host Livingston on Tuesday night. It was a disappointing afternoon against St Johnstone at the weekend so The Dons will be looking to get back to winning ways in the first league meeting between the teams since March 2006. Livingston earned promotion back to the top-flight via the play-offs last season and have been impressive under the stewardship of Gary Holt. They have become a difficult team to beat and have already taken points off Kilmarnock, Hibernian, Rangers, Celtic and Hearts. They go into this one on the back of a 3-1 win against fellow promoted side St Mirren and sit a point above The Dons in sixth place. Ahead of the match Derek McInnes and Connor McLennan spoke to the press on Monday lunchtime. Graeme Shinnie also spoke with the AFC Media team ahead of Tuesday. “It’s the same challenge that everybody else has faced when against them. The season’s well up and running into December and we haven’t played them which is unusual (due to the postponed game). Having seen them in the flesh and having seen enough of them on tape they have been a brilliant addition to the league and I think they have been fantastic. You normally find the promoted team have a promotion bounce and everything’s fresh. “Whenever the gaffer wants to put us in and whoever he chooses is going to do a job for the team. It’s about getting the result and putting the three points on the table. “There’s so much boys with talent at the top end of the pitch that can cause damage so it’s about being patient and whenever my time comes to grab the opportunity. Livingston regained their status as a top flight club for the first time in twelve years following a dramatic play-off run at the tail end of the season as they saw off Dundee United and then Partick Thistle to clinch back to back promotions. Gary Holt has since taken over after Kenny Miller departed as player/manager and a strong start has resulted in Livingston looking down on their expected rivals rather than struggling in a relegation battle and go into the match with confidence after that win on Saturday. 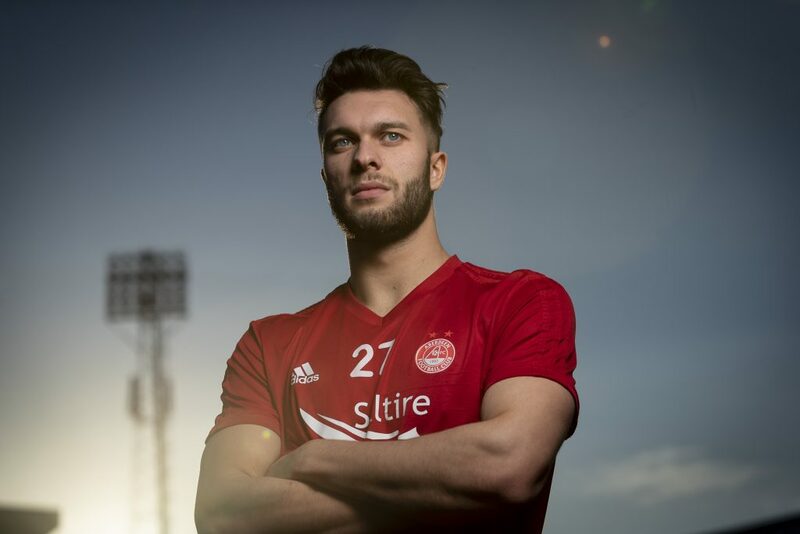 Livi possess one former Dons player within their ranks with Lee Miller joining the club last season and played his part in earning the club promotion. Tuesday marks the 28th competitive meeting between the sides with the first taking place in the 1998-99 Scottish Cup. A few years before Livingston were formed after the collapse of Meadowbank Thistle. Over the years they have proven to be a difficult opponent for Dons sides and the reds only have a slightly better record with eleven wins compared to Livi’s nine. The Dons hold the slightly better goal record with 32 for and 28 against. That Scottish Cup tie ended in a 1-0 defeat for Paul Hegarty’s side and since then there have been some difficult matches against the men from West Lothian. Livingston were promoted to the SPL in 2001 and once again came back to haunt The Dons, this time inflicting a 6-1 hammering in the CIS Cup before a 2-2 draw four days later in their first ever league meeting. The biggest league win for The Dons came later that season on “Danish Day” when a 3-0 victory secured a return to European football. The last league meeting ended by the same scoreline and Livingston would be relegated in the May of that year. 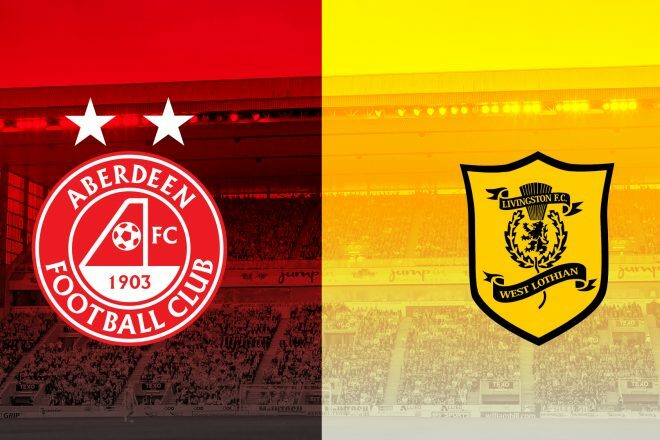 In the 2003/04 season the teams faced each other a remarkable seven times in cup and league format and The Dons were unable to get the better of Livi in both cup competitions and the league. The following season saw better performances and results with three 2-0 victories with Jimmy Calderwood at the helm. 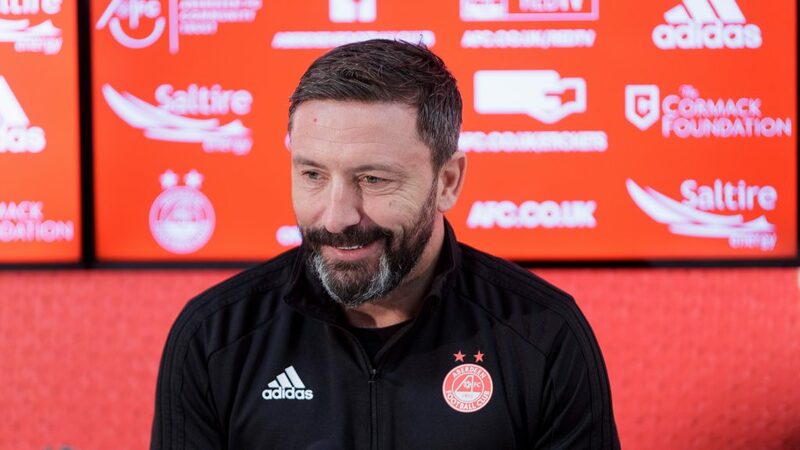 Derek McInnes has faced Livingston whilst Aberdeen manager on one occasion as the League Cup holders started off the defence of their trophy with a comprehensive 4-0 win in 2014. Ash Taylor scored early before Adam Rooney grabbed a second half hatrick to secure a safe passage into the next round. 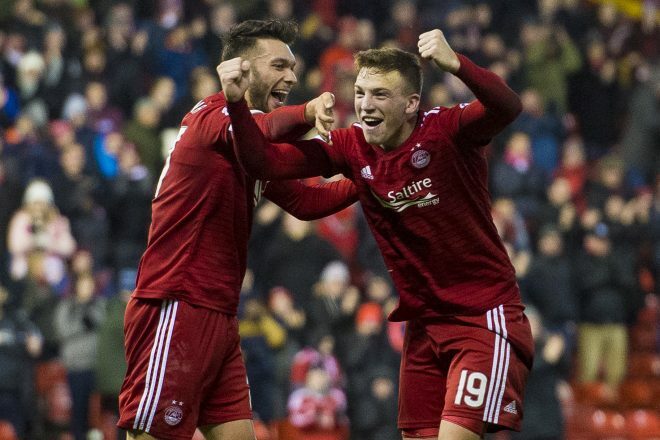 A late goal from Lewis Ferguson coupled with goals from Sam Cosgrove and Niall McGinn either side of half-time gave The Dons a deserved victory at Pittodrie. Aberdeen made two changes to the side that lost 3 days previous at home to St Johnstone. Niall McGinn and Sam Cosgrove were reinstated to the starting XI with Connor McLennan and Dominic Ball dropping to the bench. The visitors, Livingston, have enjoyed a brilliant return to the top flight. The West Lothian outfit came into the game full of confidence off the back of a 3-1 victory over St Mirren at the weekend which lifted them above Aberdeen into sixth place. Under the floodlights on a cold, wet and windy night at Pittodrie The Dons got the game underway, hoping to bounce back straight away from the weekend disappointment. The home side looked in the mood from the off and nearly opened the scoring after just two minutes. Captain Graeme Shinnie’s disguised reverse ball set Stevie May away. The striker did well to sort his feet and get a clean shot away but Liam Kelly was equal to it. Halkett was then booked for a late challenge on Shay Logan in a dangerous area. The Livingston skipper over committed himself and earned a deserved yellow card. The free kick eventually came to nothing but The Dons quickly recycled possession and continued to look ominous. Having looked threatening early on, the home side got their reward on the 10-minute mark. Sam Cosgrove did brilliantly to make the most of a ball that looked to be running out of play. The big striker got their just in time and hooked a first time ball straight into the path of McGinn. Running at pace the Northern Irishman perfectly angled his feet to make a clean contact and his volley sailed past Kelly to make it 1-0. A great start for the home side but the lead didn’t last long with Livingston bouncing back immediately. Andy Considine let the ball bounce over leaving Sibbald to swoop in behind. His initial shot was well saved by Lewis but Pitmann reacted quickest and his left-footed shot took a deflection and sailed over Lewis – a very soft goal conceded for Aberdeen after a promising start. After a brief period of consolidation for both sides, The Dons regained their momentum and went looking for a second. May went close with his head and Scott Wright had a dig from range which narrowly flew past Kelly’s post. But it was Livi who took the lead just after the half-hour mark through McMillan. Against the run of play the visitors got in behind down the left hand side. Goalscorer Pitmann turned provider and released McMillan who calmly slotted past Lewis to take the lead. Despite a strong start and looking threatening in the final third, the first half display was marred with defensive errors and The Dons went in 2-1 down at the break. Aberdeen started the second half in positive fashion with the introduction of Connor McLennan for Scott Wright. McLennan was involved early on down the right-hand side and did well to pick out May in the penalty area. May knocked it back to Cosgrove who curled his effort just wide of the right hand post. Cosgrove had another half chance minutes later, latching onto a cross from Max Lowe – this time from the left. The big striker did well to swivel make contact on the ball which was behind him but again, he couldn’t direct his effort on goal. McGinn then passed up a golden opportunity to equalise after some great play down the right by McLennan. The substitute took out three players and got to the byline before cutting back to McGinn on the penalty spot – his connection was clean but straight down Kelly’s throat who parried away. It was a great run down the right from McLennan, who was clearly making a huge impact but unfortunately for The Dons the end product was still lacking. But it was third time lucky for Aberdeen and for McLennan. Once again the young winger got to the byline and fired in another dangerous delivery into the Livi penalty area. This time the end product was there and Sam Cosgrove did well to get on the end of it and finish from close range to equalise. The game was frantic and Aberdeen pushed for a third. Andy Considine passed up a fantastic opportunity to retake the lead. Stevie May was at the heart of it this time, chasing a lost cause and winning the ball back in the Livi area. His cross found the unmarked Considine who, from 6 yards out headed wide with the goal at his mercy. Cosgrove then had an appeal for a penalty waved away by Craig Thompson. The big man went down and was booked for simulation. It was all Aberdeen. May was the next player to go close – he got in behind and one-on-on with Kelly but lacked a bit of composure and fired straight at Kelly. Into the final twenty minutes and if there were any more goals in the game the feeling was they would come from a red shirt. McKenna had a volley at the back post, which once again was straight at Kelly. Crosses from the wings seemed to be the most effective route to goal for The Dons. Down the left-hand side Max Lowe continued to be a threat, getting to the byline and pulling it back to Ferguson. At the final moment, Ferguson fluffed his lines and sliced his shot out for a throw. Into the final ten minutes and it was beginning to look like one of those nights for The Dons. An almost carbon copy of the previous move, Connor McLennan had a golden chance to take the points. Unfortunately, his effort was blocked at the vital time and Livingston were able to scramble clear. After running his socks off all game Stevie May made way for Bruce Anderson with five minutes left to play. The substitute did brilliantly to win a corner deep into stoppage time. The corner was headed on and agonisingly bounced wide of the post taking a deflection on route and out for another. The second was deep and caused commotion. Kelly could only flap at it and the ball dropped to Ferguson who bicycle kicked it up and over the Livi defenders on the line to give The Dons the lead at the death. It was a fitting end, to a frantic game ending in a very much deserved victory for The Dons, taking them above Livingston and into the top six.